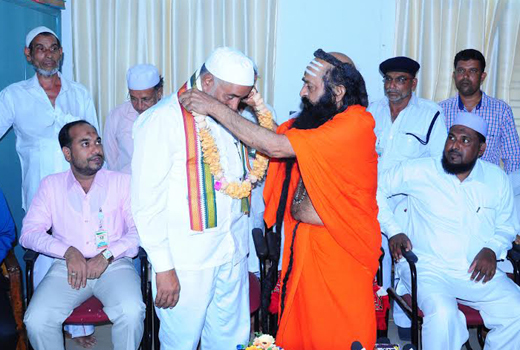 Ullal, April 7, 2015: Shree Ramananda Swamiji of Shree Kshetra Kolya visited the Ullal Darga on April 6, Monday during the annual Urus of the Darga. 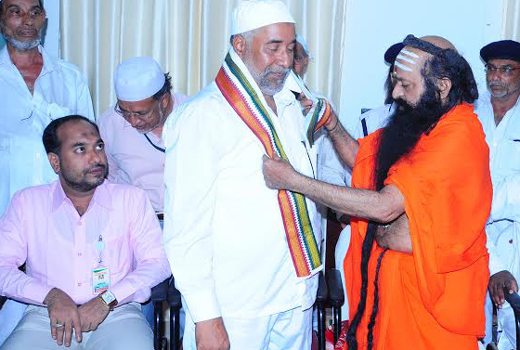 Speaking after felicitating the Ullal Darga office barterers at the Darga office later on, the seer said the Ullal Darga has a great history of always coming to the aid of the weak and the downtrodden in the society. 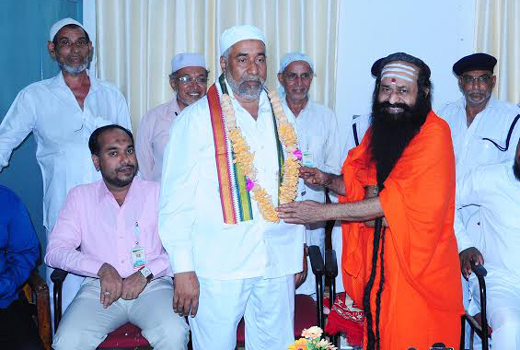 He also hoped that the good deeds for the cause of humanity will continue. 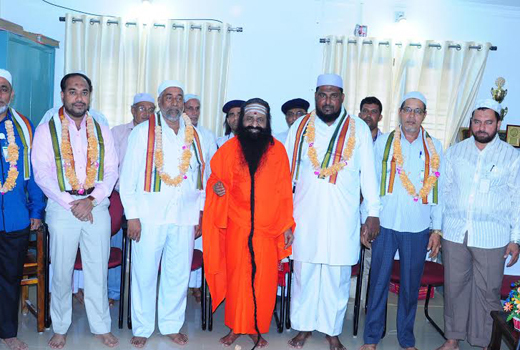 Peace can prevail only when there is harmony and brotherhood in the society, the seer further added. “We should always bear in mind that we should be a model to others through our conduct, behaviour and practices. Never should there be any attempt to disturb others,” he said. 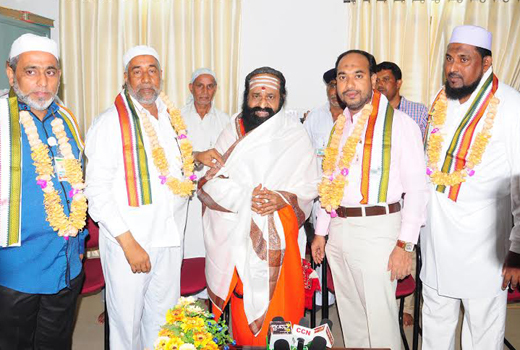 US Hamza, Darga Samithi President, Ullal Khasi Assayyed Fazal Koyamma Tangal Madani Al Buqari, Darga Samithi Vice President Ashraf Ahmed, Haneef Haji, Vice President of Sayyed Madani Charitable Trust, UT Ilyas, General Secretary, Mohammad Haji Bilal, Treasurer, Hameed Kallaup, Accountant and several others were present.